2018 Buffalo International Film Festival Starts This Friday! (October 3rd, 2018) The Buffalo International Film Festival (BIFF), a 501 (c) (3) nonprofit film festival serving Western New York starts this Friday. 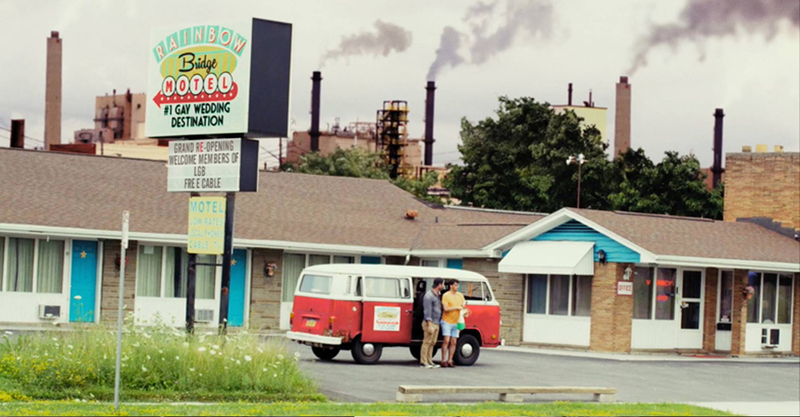 Highlights include the opening night film Christina Kallas’ The Rainbow Experiment, the Closing Night presentation of Adam Linkenhelt and Pat McGee’s American Relapse, and the World Premiere of Niagara Falls-lensed The Rainbow Bridge Motel. In addition, BIFF is pleased to present Western New York premieres of Sundance, South By Southwest, Cleveland and Slamdance award winners The Sentence, Thunder Road, Manry at Sea, and MexMan respectively. Tickets are on sale now at buffalofilm.org. New for programming for 2018 includes independent episodics as well as a new student block highlighting emerging Western New York talent. Additionally BIFF includes special events – free industry panels and a special performance by pioneering experimental filmmaker and musician Michael Snow. This year the Buffalo International Film Festival will screen more than 125 films from 22 countries. Venues include the North Park Theatre (1428 Hertel Avenue, Buffalo 14216), Hallwalls Contemporary Art Center (341 Delaware Avenue, Buffalo 14202), Squeaky Wheel Film and Media Art Center (617 Main Street, Buffalo 14203), and Burchfield Penney Art Center (1300 Elmwood Avenue, Buffalo 14222). “Our twelfth annual festival again includes acclaimed films from around the world as well as from around the region. This year we’re proud to deepen our commitment to cinephiles as well as the growing Western New York film industry through the expansion of our local and student programming lines,” said Interim Executive Director John J. Fink. “BIFF returns offering an inclusive survey of creative works from around the world and region highlighted by our new episodic programs. To cap off this new programing section we close the festival with a screening of the timely American Relapse – the basis for an upcoming Viceland series – as we continue the vital conversation about the evolution of cinematic storytelling through the development of new platforms.“ said Festival Director Tilke Hill. Tickets including BIFF’s all-access Bison Pass for only $39.99 (until October 5). The full line-up including screenings, confirmed guests and free panels is available at buffalofilm.org/lineup. Individual screening tickets are $12 with matinee pricing available for the first show of the day on Friday and Monday. Youth programs hosted at Squeaky Wheel and panels are free to attend. ● FESTIVAL FAVORITES: The Western New York premieres of Thunder Road (Narrative Grand Jury Prize Winner, SXSW), The Sentence (Documentary Audience Award Winner, Sundance), Manry at Sea (Hometown Heros Competition Winner, Cleveland Film Festival), as well as: Friday’s Child, Relaxer, Lullaby Killer, Field Guide to Evil, Pet Names, When She Runs, Radium Girls, The Guardians, Dawnland, One Bedroom and more. ● ED SUMMER FILM HISTORY SHOWCASE: New York Premiere of MexMan (Honorable Mention, Documentary Feature Award, Slamdance), directed by Josh Polan, with – presented in memory of the late founder of BIFF, Edward Summer. A hilarious celebration of character-driven, episodic storytelling. Multi-arc storytelling goes to work in this collection of drama and sci-fi episodes. Comedies, dramas and thrillers where past and present, on and off screen clash. BIFF proudly presents a dynamic lineup of abstract expression, filmic essays and unique perspectives. Highlighting exciting short filmmaking from around the world, BIFF Shorts: Global offers a diverse lineup of narrative shorts from the Brazil, France, Russia, Portugal, Kosovo, and Puerto Rico. From “upstate” to “downstate” – stories that could only happen in New York. BIFF proudly presents a selection of shorts created by Buffalo youth and inspired by their city and surroundings, curated by Squeaky Wheel Film & Media Arts Center. The weird and wild side is back – a collection of dark comedies, sci-fi and horror from local and domestic filmmakers. Celebrating diverse stories and storytellers from Western New York. Global and domestic narratives about rolling with the punches, reinvention and moving on. A celebration of emerging voices from around the region. Before select feature films enjoy curated shorts to complement the feature. 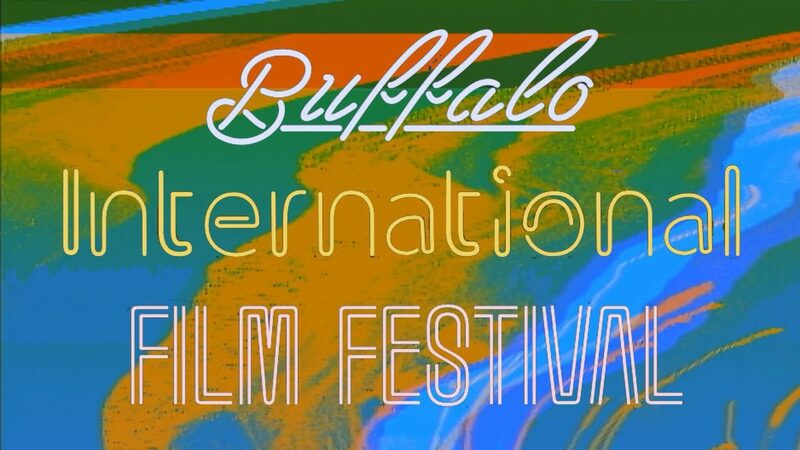 Buffalo International Film Festival (est. 2006) champions regional, national, and international films that push the limits of independent cinema – presenting quality films from around the world to WNY residents and visitors. BIFF is committed to amplifying diverse voices and exhibiting cutting-edge programming in narrative, documentary and experimental film. A proud supporter of local filmmaking, BIFF also offers workshops, seminars, industry panel discussions, fiscal sponsorship and professional development opportunities. Our Core values include: Artistry, Community Collaboration, Education & Engagement, and Diversity & Inclusion – We celebrate the diversity of our community through programming and community partnerships that reflect and represent the rich and eclectic cultural fabric of WNY.